AuthorCentrix celebrates its second year as one of the exhibitors at the Fair. 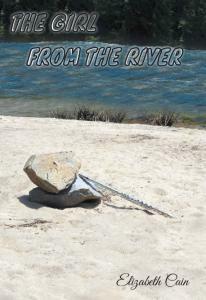 The company will be gracing the event with Elizabeth Cain, a native California teacher, poet, musician, photographer, equestrian, and a published author, now presenting her eighth novel – The Girl From The River. This year at the Fair, she brings to the readers, another over-the-top work of fiction that a terrifying, inexplicable, and true events. A chance for one-to-one Author Interview and Book Signing with Cain await everyone! “Beyond the fiction of reality, there is the reality of the fiction” – an aphorism that is crossed and re-crossed in Cain’s The Girl From The River. The story introduces the characters Catherine Langley and Angela Star. Catherine is a student from UCLA who gets to meet Angela, one whom she had only heard from her mother’s short story collections. As they both set out to find the answers to their questions, they get to interact with a patient with Alzheimer’s condition and secrets begin to unfold. What seems impossible becomes a vibrant and heart-stopping reality against the backdrop of Southern California’s Santa Monica Mountains – now headed to a new place. Will Catherine and Angela find the answers to their questions?